Floyd Mayweather is in talks to fight Manny Pacquiao, but before he does he’s fighting to help out his buddy Phil Ivey. The boxing legend tweeted this week to his 5.58 million followers, “Learn how to play poker like @philivey #TMT” along with a link to the Ivey League website. Mayweather’s promo couldn’t have come at a better time as reports have surfaced the Internet training site is struggling to turn a profit, and was even rumored to be up for sale. “We are expanding the business into multiple categories but we’re not selling the business,” Ivey League CEO Dan Fleyshman stated. 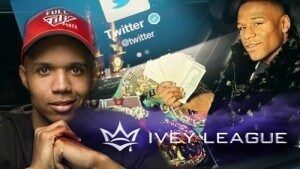 His assertion was in response to a listing on MergerNetwork, a marketplace connecting buyers and sellers that claimed Ivey was seeking $20 million to transform the business into an online casino featuring table games, bingo, sports betting, and more. The listing has since been removed at the request of Fleyshman. It’s nice to have friends in high places, especially ones that are there for you even when the going gets tough. Ivey and Mayweather have long been pals and have exchanged tweets in the past. Most recently, Ivey expressed his anticipation of a Mayweather and Pacquiao bout saying on February 5th, “Hopefully @FloydMayweather @MannyPacquiao can work their deal out today.” Mayweather returned the love 10 days later with the Ivey League message, which has been retweeted over 1,200 times. One of the highest-paid athletes in the world, Mayweather’s influence is certainly substantial, but his notoriety comes at a price. Although Ivey certainly enjoyed having his business promoted by someone with more followers than Michelle Obama, not everyone is a fan of Mayweather due to his domestic abuse history. 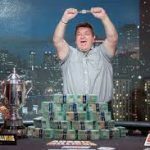 However, you might argue that same smug demographic probably isn’t a fan of Ivey for his recent edge sorting scandal in which he was deemed to have illegally won $12.4 million. Ivey and Mayweather are actually a perfect match since they both dominate their respective sports, make millions, and have personas that captivate fans and adversaries. Ivey League was launched in 2013 to help players improve their poker abilities. Along with Ivey Poker, the site offered users the ability to hone their skills, compete against professionals, and watch training videos. But in late 2014, Ivey Poker announced it was shutting down “temporarily” to rebrand. Since hiring Fleyshman to revitalize the online community and oversee the transition, speculation has continued regarding the profitability of Ivey’s endeavor. “People aren’t learning how to play. You see people just going on there and playing, but not really learning how to play the right way. What we’re doing here is teaching people how to become a winning poker player,” Ivey said in 2013. Phil invested millions of his own money to start-up the company, but many think people still aren’t learning how to play, or at least paying to learn how to play. With countless instructional videos and websites on the Internet, it’s understandable that a new player might be skeptical in paying up to $75 per month to view strategic lessons. “Phil has self-funded the mid-seven figures into the app and training site,” Fleyshman recently revealed. To recoup an investment of that size, Ivey League will need a swarm of subscribers, and most likely, a few more tweets. I agree with Tman300, subsinind, and roni. drop it and move on… or at least go about it a different way. Why not force ads down everyones throat like yourtube does lol? that could make some coin. good luck phil!!!!!!!!!!!! 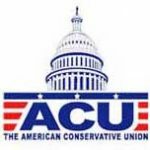 you got screwed in court!!!!!!!! if the bastards are,nt going to pay off when someone wins, besides them, they need to go out of buisness. i forgot what casino it was, i know it was one in the states and one in england. maybe u should tell everyone which casinos it was again!!!!!!!!!!!! i don,t what to ever step foot in neither!!!!!!!!!!!!!!!!!!!!!!!!!! best poker player in the worlddddddddd phil ivey! Best Poker Player doesn’t mean Good Business man.